Warren Brown, DC entrepreneur, talks about his path to creating CakeLove. Fifteen years ago, Warren Brown took a break from his career as a lawyer to pursue a passion for baking. He never looked back. Brown’s leave of absence became the start of CakeLove, his DC-based bakery that launched in 2002. 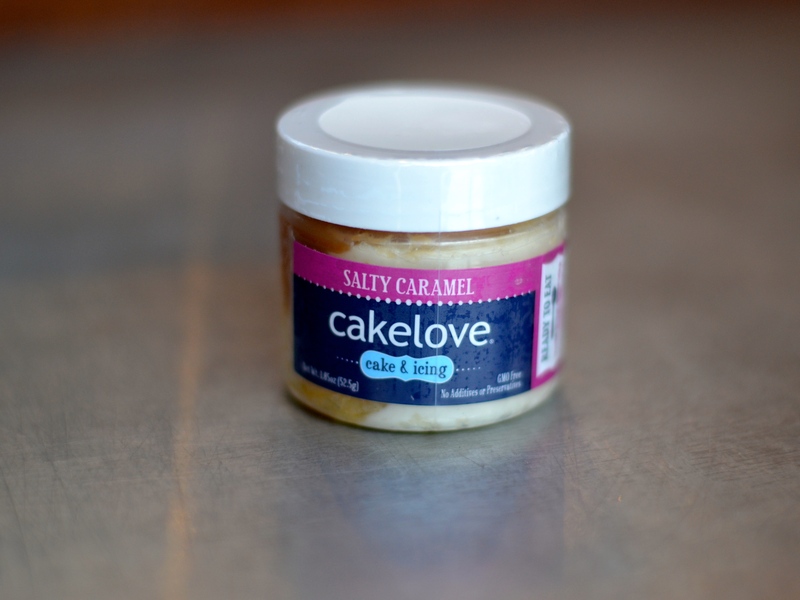 Founded on traditional cakes, CakeLove is now bringing single-serve, portable treats to people across the country. Brown has also published a series of cookbooks and worked as a Food Network host. I met him at CakeLove’s U Street storefront to chat about cake in jars, following one’s interests, and the realities of entrepreneurship. What was your inspiration to start CakeLove? I’ve always cooked, and I wanted to understand more about baking because I didn’t know how to do that. It was a New Years’ resolution in 1999 to learn how to bake. I found that I enjoyed the process of assembling a cake. I enjoyed the action in the middle—the frosting, the layers, the filling, the surprise. I also found that when I would take a cake to someone’s house or if they would come over for dessert, it was a lot more exciting than if they came over for dinner, which is what I was used to having people do. It was exciting to bring something that people really got jazzed about. I felt a calling to do it, like, ‘If I just focus on making cake, maybe that will deliver me to what I want to do, which is work more with food and follow a passion.’ I can’t say that I ever had a passion for cake as a kid in terms of making cake…it’s an evolved passion for food where I’m able to pour my interest into this one segment of the food world. Do you think you’ve found your passion then? Oh yeah, yeah. But the one thing I caution you and everybody against is: don’t think there is one passion in life. You want to be a multi-faceted diamond! On that track, were you also a lawyer at one point? I’m a lawyer, yeah, practiced for two years. I came here [to DC] 20 years ago to go to GW Law School. I graduated, took the New York bar exam, passed it, worked for Federal Health and Human services for two years…but within months of starting as a lawyer, knew that it was not really exciting for me. I basically moonlighted as a baker for a year or year-and-a-half before I left that job. I left under great terms—I took a leave of absence. So I still had a job to go back to if I wanted. But I had a break from it to kind of get my feet wet and see if this is something that I wanted to do. I could have gone back, but it would have been difficult to do that because I had already paid for a lot of [bakery] equipment, so my feet were in all the way! So you were working as a lawyer, took a leave of absence, and were building this business up…how did you get to where CakeLove is today? I thought that was going to be a four-month period and it turned into a year and a half. That was painful, difficult, long, and a slog. It’s still difficult, but in the beginning it was only me and some volunteers. As a one-man show, as an entrepreneur, you’re hustling, and you’re moving fast, and you’re tired. It just takes a long time to get people [customers] to understand that you exist, that you’re a competent, willing party to do business with. That you’re for real. I was ready and raring to go and I thought I had an interesting idea that, to me, made sense and would work. And it does, but it’s challenging. There are so many things that happened between wanting to get the business off the ground, that 18-month period of trying to get it off the ground, and then we opened and it was a new set of challenges, and the challenges started to take a long time. Can you talk about some of those challenges? I basically got a loan for a storefront inside of six months, which is fast. The store was a café so there was not much building that had to be done—the infrastructure was there. But I contracted with a guy who was in over his head from the beginning and didn’t tell me. The build-out should have taken six weeks; instead it took from October to the middle of March. I was pulling my hair out the whole time! It turned out being a big story in the food section, so the phone started ringing constantly and my business plan immediately changed to being able to fill orders, work the media, and shop the business plan. Filling orders was great because days before the story came out was when I was running out of money at the end of this leave of absence, so then I was able to do enough sales to stay afloat. Working the media—local press leads to other press if it’s an interesting story and my story got picked up on the wire and different agencies were coming. The big thing is the Post led to People magazine, which led to being featured on NBC Dateline, which ultimately ended up being featured on Oprah. Being on Oprah—I was opening the shop at the time—but it also catapulted business to a whole new level. Moonlighting, following your passion, people started taking notice. I don’t know if it’s because stars aligned—in a lot of ways, I believe that. You put out the vibe and energy that this is what I need. I’m following my heart. This is what I’m doing. I think a lot of the attention is because you just start talking about what you are passionate about and passionate people attract! You’ve got energy—energy attracts…I think you can have a wonderful business just by following up on things that are coming to you. I’m a big believer in letting the energy that you have be the thing that is a kind of beacon for people. I think a lot of people who are entrepreneurial have that energy in them. I think it’s really the best tool that an entrepreneur has. What have you learned since starting your own business? I honestly did not think that we would be making a go at a business with cake in a jar. I thought that the business would grow as retail storefronts and a cake shop in town—a cake shop on the corner in the suburbs and stuff like that. We tried that model and it doesn’t work. It’s just too difficult to execute. It’s almost antithetical to what the idea of what a neighborhood bakery is about, you know? People want to have a little bakeshop that’s theirs, that’s special, and basically small. I think they think as soon as a bakery gets to be big, it has to be making compromises of some sort and [people think] the quality of the product isn’t fresh. I honestly did not think that we would be making a go at a business with cake in a jar. I thought that the business would grow as retail storefronts and a cake shop in town—a cake shop on the corner in the suburbs and stuff like that. We tried that model and it doesn’t work. It’s just too difficult to execute. It’s almost antithetical to what the idea of what a neighborhood bakery is about, you know? People want to have a little bakeshop that’s theirs, that’s special, and basically small. I think they think as soon as a bakery gets to be big, it has to be making compromises of some sort and people think the quality of the product isn’t fresh. The model suffered from the pressures of competition and the recession changing peoples’ attitudes and needs. We moved away from it out of necessity and started developing the whole idea of jars in winter 2013. We had about a year of R&D and about a year of slow growth, hocking it all over town, and we’re now about a year into trade shows and the larger circuit with distributers. It’s really exciting. Over the summer, we were doing as much per month as we did in sales all of last year. So we’ve got good stuff ahead, which is great! What is your favorite thing about being an entrepreneur in DC? The support, the attitude, and the environment of DC is very, very helpful. The network is good—for example, Union Kitchen and Mess Hall. Union Kitchen does distribution for us and they’re very big into fostering the community of food entrepreneurs. Same thing with Mess Hall—they do great events. Is there any advice you would give other minority entrepreneurs? I think it’s difficult because if you are a minority in America, you’re worried all the time. You’re worried that you’re going to get shot by the cops, you’re worried that someone is going to call the police on you, you’re worried that someone is going to think that you’re approaching them the wrong way when you’re doing nothing. You’re just worried about a lot of stuff, and I don’t really know how someone would put a fence around that when they go into business. Everyone in business is always worried about, ‘Is my business growing? Am I doing the right thing?’ and as a minority, I think you…you’re always wondering if you’ve done everything you can to land the sale. If it hasn’t come through you’re like, ‘Could I do this? Could I do that?’ and sometimes it could just be that they [distributors, retailers] are just busy and they can’t get back to you. It’s tough. The other thing is that to make it work, you have to be overcommitted all the time because you have to fill your bandwidth and hope that orders don’t all come through at the same time. Things can go wrong all at once. Things could go right all at once, and a lot of times when something does go right that’s really big, then the good stuff starts rolling. It’s really important to constantly try to set it up and build it up, but you have to really extend yourself over and over again. And before the sales hit, anyone is going to be worried that, ‘What have I done or not done to close this deal? And is it something I can actually improve on or is it something that’s beyond my control?’ I think you just do the best you can with what you’ve got. If there’s one thing I would say for every entrepreneur no matter what it’s to get feedback. Get feedback from anybody and everybody—people who have something to do with the business and people who have nothing to do with the business. You need lots of different eyes looking at it. No one can come to it with the perfect, cure-all approach to business. Find CakeLove online and in these stores. Portrait courtesy of W. Brown; other photos by G. Byrd. This was such an inspiring piece to read! And I love cakelove too! !